Valentines Rain will decorate your website for Valentine’s day. That day full of love is coming every year and many of us loves this event. In many places of the Earth this celebration is associated with hearts, lot of hearts, lot of lot of hearts, Cupidon, so let it rain on your WordPress website! Valentines Rain makes to rain on your website! You can choice how you want to rain. This plugin have many options that can help you make your perfect Valentine’s Rain for your website. There are 19 different styles to choose, or you can combine all 19 or a part of it to make a very intersting Valentines rain effect! 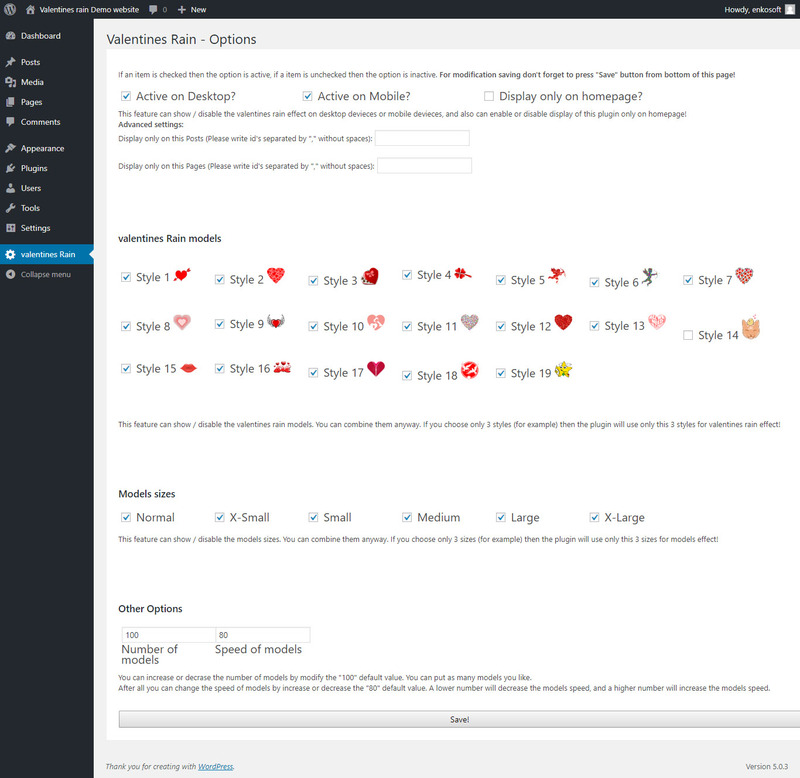 There are 6 different sizes to choose, or, you can also combine all six or a part of it to give to your WordPress website a diversified Valentines rain.